Well, I have just had one of my girls turn 13 last week (yikes now I have 2 teenage daughters in the house!) 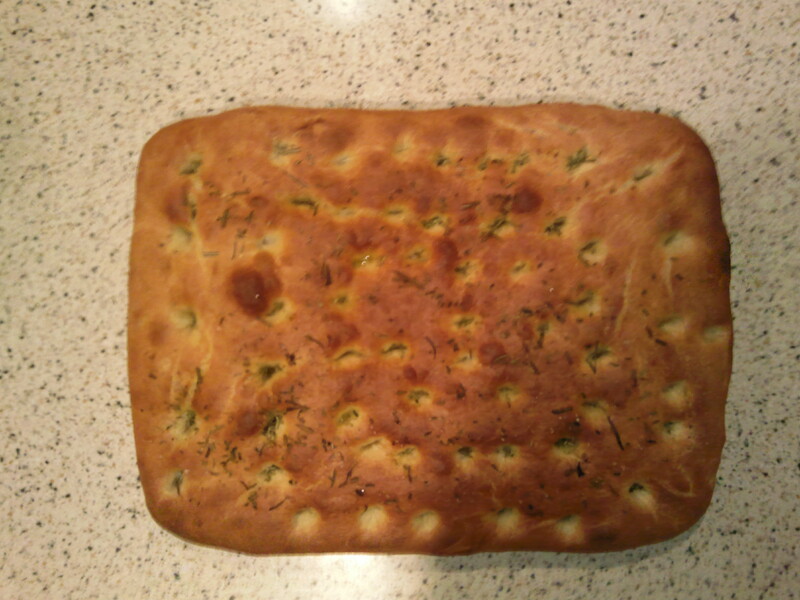 so I spent last weekend frantically baking pizza and focaccia. She absolutely loves this classic tear and share bread and I would like to share the recipe with you. It really is simple and you can “pimp” it with any number of herbs and flavourings. The amounts here will make 1 large focaccia. Combine the flour, yeast, salt and water in a large bowl to form a soft dough, then add the oil. This dough has a higher liquid content than normal bread dough so it may be a little sticky and harder to knead. If you struggle you can use a food processor with a dough hook, mixing on slow speed for about 10 minutes. I prefer to knead by hand so tip the dough onto a floured work surface and flour your hands and knead till smooth and silky. When the dough has been sufficiently kneaded, shape into a round, coat with a little oil, cover and leave to rise till doubled in size. This will take around 40-60 minutes. When it has risen, tip out and place on a baking tray measuring about 35 x 25cm and press down to fill the tray. Press the dough right into the corners, cover and leave to rise again for about 30 minutes. It is also a good idea to preheat your oven now to 2500C. Look at your dough and when it has puffed up you can use your fingertips (lightly floured) to poke holes over the surface of the dough. Next, drizzle a little olive oil over the top, and sprinkle the sea salt and chopped rosemary. Bake for 10 minutes at 2500C, then reduce the heat to 2000C and bake for another 10-12 minutes. When it is ready remove from the oven and leave to cool on a wire rack. Focaccia is best served warm. I served mine with a small bowl of olive oil and my leftover pizza tomato sauce for dipping. I have also added sun-dried tomato to the dough and sprinkled basil over the top. Use your imagination and make it your own, your family and friends will love you for it! « My FREE Report is ready!